With the eventful phase of summer breaks just around the corner, it’s high time to start planning about the places you plan to see in this trip because chances are you might not be able to plan any more holidays after this one in the coming year. Summer breaks mean you should ideally go for hill stations, and when talking of hill stations, there is just one place that strikes the mind, Uttarakhand. Rather than going to some place far like Ladakh or Dalhousie and travelling on shoestring, you can have all the fun you intend to by visiting Nainital. It is suited for everyone’s budget, and if you book your hotel online, you can even stay at one of the best hotels in Nainital by availing discounts online. Just remember to book in advance. If you would still like to cut down on expenses, just travel to Nainital in off season when it does not get many tourists. Unlike the major hill stations like Shimla and Mussoorie, Nainital is not crowded. You will find peace here with no constant noise of traffic. The forest covers add to the charm and mysteriousness of this beautiful place. If you are one of those people, who love staying away from the mainstream places, you can go for a resort to stay in. Some of the best resorts in Nainital also offer medicinal therapies and you can relax here, away from the city life. You can indulge in adventure activities! With some beautiful clear lakes, amazing mountain views and sloped roads, there are a lot of adventure activities that await you in Nainital like paragliding, trekking, rappelling, etc. So just let go of all your fears and give yourself some test of guts by going for these adventure activities. You get lakes, forests and mountains at one place! Almost all of us are a bit of nature lovers inside. Just let go of the old, so called best hill stations and come to Nainital. With beautiful lakes and the shadow of mountains falling in the lake, there is nothing more you would really want to see. To make your evenings more colourful, just go on long walks around the place. Nainital is indeed a treat to eyes and a feast for the heart. The place is an ultimate destination of the nature lovers, who would not just get carried away with the stream. 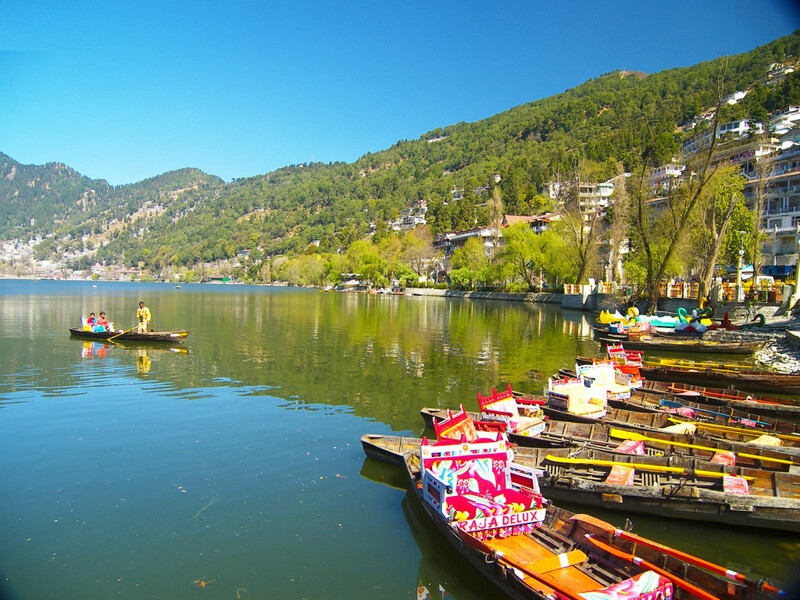 So, this summer, plan your trip to Nainital and make an itinerary prior to your departure. Give yourself some time off from the boring schedule and rejuvenate yourself in the hills.